Vin Diesel was always passionate about the character Riddick. After Chronicles of Riddick, he produced video games on the character. And now, nine years after the sequel to Pitch Black, Diesel and writer/director David Twohy are bringing him back in the movie simply titled Riddick. 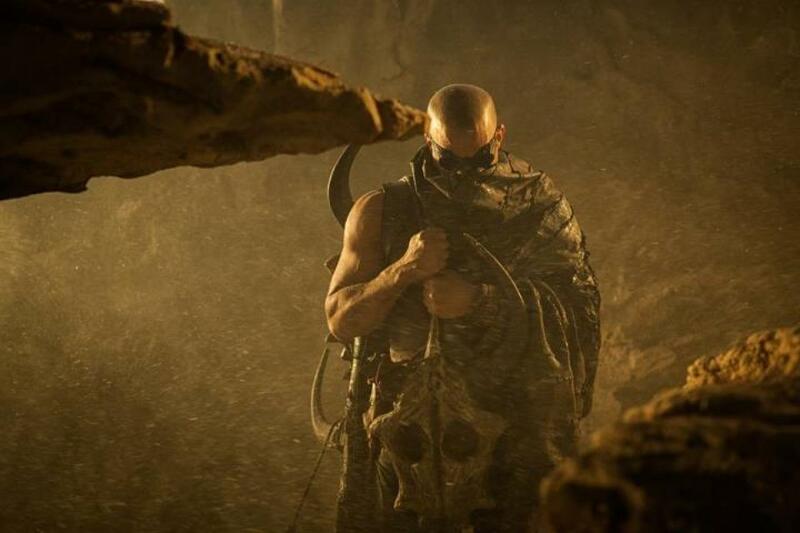 A fan of Riddick told Diesel, “We want a rated-R movie and we’d be willing to pay $10 each. Surely you’d have enough to make it then.” It motivated both Diesel and Twohy to bring a third movie to fruition. The fan support was enough for Diesel to take to Kickstarter to ask for — no, I’m kidding. He, in turn, put faith back in his fans and leveraged his own house to help produce the movie. The man comes off very endearing towards his passions and his fans. And Riddick just might be his violent love letter to them. Riddick hits theaters September 6. And yes, I will be there.